I am incredibly excited to talk to my good friend, Robin Scharma, on David Bach TV. Not only has Robin sold 15 million books to date, but his books have also been translated into 70 languages. You may remember him from his first books: The Monk Who Sold His Ferrari and The Leader Who Had No Title. Robin and I have similar missions – our missions are to help as many people as possible. 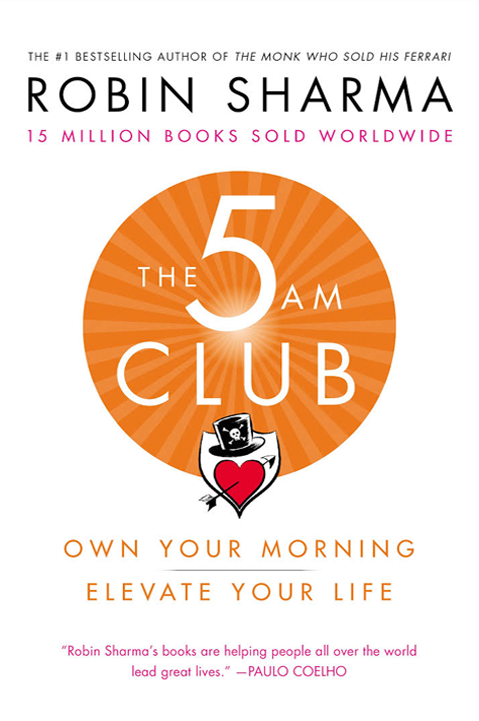 That is why Robin has dedicated the last four years to ensure that his latest book, The 5AM Club, is perfect. The book is, “quirky, mystical and transformational”, according to Scharma. Robin believes that 5AM is the time of legends, which is why he has been teaching the 5AM club for over 20 years using the 20/20/20 formula: move, reflect and grow. That is the exact formula that the CEO’s and billionaires Robin has coached use. Using the 20/20/20 method is not only extraordinary for productivity, it is also about reclaiming inner peace…personal honor. It is about anchoring to the values that you build both your day and life upon. Getting up at 5AM gives you a platform to say, “Here is who I am!” and to reconnect with your talents and your wisdom. This book is for anyone – moms, dads, students, teenagers – anyone who wants to give themselves permission to join The 5AM Club to have a victory between 5:00 and 6:00AM. A time where you have prepared your mindset, heart set, health set and soul set. 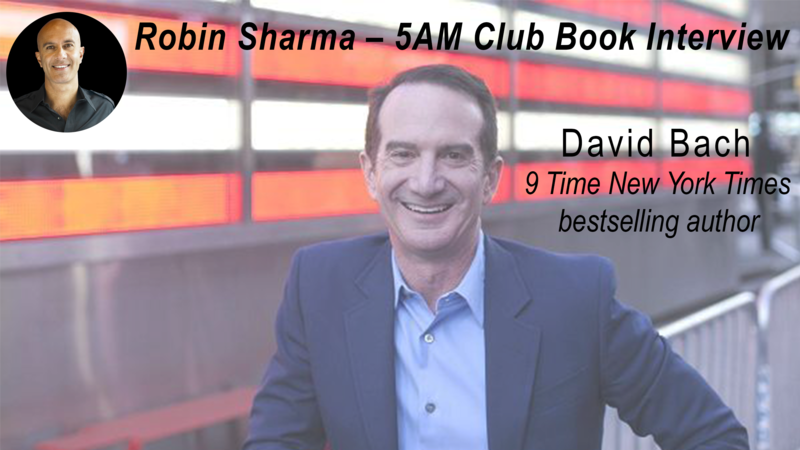 Click play below and take a listen to my full chat with Robin Scharma, where he goes into even greater detail on his inspirations for The 5AM Club, what each step entails and what his goals are for the book and you. I also recommend for you to pre-order Robins book here – it is available everywhere on December 4, 2018.